Ipe is an extremely high density hardwood species native to much of South and Central America. Pronounced E' - pay, the botanical name for Ipe is Tabebuia spp. (Lapacho group). It has also been referred to as Brazilian Walnut and is also known by several trade names including Iron Wood, Pau Lope, Mataverde. While there are many subspecies of Ipe wood, the best subspecies grow naturally, mostly in Northern Brazil. Ipe hardwood is so resistant to fungal decay and termites that it has become the benchmark material for all exterior hardwoods; any and all other decking wood species are compared to it. Ipe hardwood is such a resistant and durable species that it has long been used for railroad ties, truck flooring, industrial flooring, boardwalks, docks and other challenging outdoor projects. What's so special about Mataverde® Ipe decking? Mataverde® Premium Ipe Decking is the ultimate decking solution for the discriminating user who wants the very best real-wood, all-natural deck. Ipe hardwood decking lasts much longer than any decking material and is an all natural beauty and the Mataverde brand name is your assurance of quality. A deck built with Mataverde® Ipe can provide you with many years of comfort, satisfaction, relaxation and peace of mind. 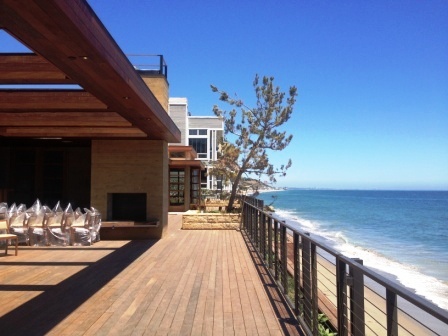 Ipe hardwood decking outperforms every known decking material on earth. 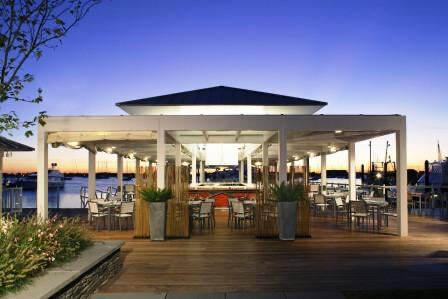 It is no surprise that it is considered the "best of the best" decking materials. Ipe wood is naturally hard, durable and scratch resistant, which is why it has been used on such high traffic projects as docks, marinas, boardwalks, municipal walkways and public esplanades for decades. In fact, Mataverde Premium Ipe Hardwood Decking and Siding is so reliable, it is covered by a 25 Year Limited Warranty. Watch our video to see how well Ipe performs compared to other wood decking species after 15 years. Discover how remarkable a wood species Ipe really is. Mataverde® Premium Ipe hardwood displays a wide range of colors, graining and natural beauty. Typically there will be a full spectrum of color ranges from tans to olive browns to reddish to dark browns with this hardwood species. The spectacular graining variations and exotic “figuring” found in Ipe are similar to the variations of color and graining you would find in a hardwood floor inside your home. The variety of color, graining and figurations make an Ipe deck a one-of-a-kind work of art. Ipe wood exhibits a wide range of character and striping. 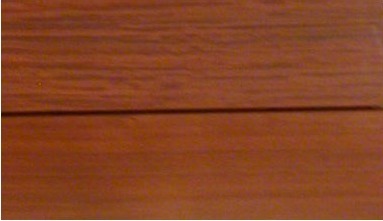 The exotic graining, quarter-sawn figuring and “striping” will differentiate every Ipe deck board. No two pieces are ever exactly alike. Watch a short video to see some of the natural grain and color variations of Ipe wood. Download Free Brochure: "How Does Ipe Hardwood Weather?" Would you like to learn more and see the rest of this story? Download the comprehensive FREE GUIDE, "How Exterior Hardwoods Weather"
Ipe has many amazing physical properties and characteristics that make it one of the longest lasting natural wood species on earth. This species ages both beautifully and gracefully. It lasts so long we are very comfortable offering you a 25 year limited warranty against decay and insects for Mataverde® Ipe decking and wood siding materials. Mataverde® Ipe has natural resistances to cracking, checking, twisting, cupping and splintering. It is extremely stable, hard and dense and resists all types of punishment. Ipe wood is known to have the highest durability rating of any decking product on earth and is naturally decay resistant throughout all fibers of the wood. Ipe is rated as very resistant to attack by decay fungi and termites. 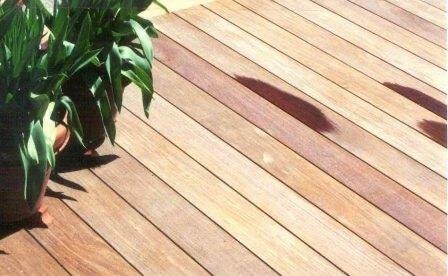 When properly cared for, it is not uncommon for this decking material to last 40-50 years or longer. Ipe has a Janka hardness of 3,680 lbs (more than triple the toughness of red oak). That's why it has an unparalleled resistance to scratching and gouging. There simply isn't a stronger wood decking material. Ipe has an amazingly high bending strength of 23,360 psi. That means you would have to apply 23,360 pounds of pressure per square inch to break a board. Because of its strength, this hardwood decking can out span virtually every wood species on earth and will exhibit only minimal flex or "bounce" when you walk on an Ipe deck. Mataverde® Ipe has been tested and received a Class A fire rating. The ASTM testing conducted on Mataverde Ipe hardwood also meets the same requirements as the IBC (International Building Code) and the ANSI/NFPA (American National Standards Institute/National Fire Protection Association) for a Class A fire rating. The natural fire resistance of Ipe wood, makes it a great choice for decks that are near fire pits, chimneys, chimineas, charcoal grills and more. Cigar and cigarette burns are not a problem with Ipe decking. Ipe is such a hard decking material, special techniques and fasteners have been developed to make installing it better and faster than ever. There are several decking installation methods to choose from. The traditional method of installing Ipe is to pre-drill the deck boards and then fasten the decking with stainless steel screws to the deck joists. Another faster installation method for Ipe decking is to use the Ejector screw. The Ejector screw securely fastens your Ipe decking to the deck joists without pre-drilling. If you do not wish to see screw heads exposed on your deck boards, a hidden fastener can be used. The Eb-Ty hidden fastener makes for a quick decking installation and for a beautiful Ipe deck that will last for many, many years to come. Click here for additional information and installation techniques for Mataverde Decking and other high density exterior hardwood decking species. Looking for inspiration? Find Ipe Project Ideas here. Ipe hardwood decking can be a very low maintenance material. Always remove debris and dirt off your deck with regular cleaning. Keeping your deck clean actually extends the life of the decking and looks beautiful at the same time. If your desire is to keep the original coloration and appearance of your deck or other outdoor Ipe project, a coat of rosewood oil finish such as Penofin or similar product is highly recommended. An annual maintenance coat of the oil finish is suggested to maintain the original look of your hardwood decking. or preserve its warm tones? We think it is beautiful either way. Natural weathering of Ipe hardwood decking develops a silvery patina making it a low maintenance choice for decking. 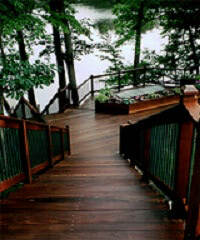 A rosewood oil finish on your Ipe deck darkens and enhances the rich colors and natural graining of Ipe hardwood. What could go wrong? Find out about potential Ipe Decking Problems.